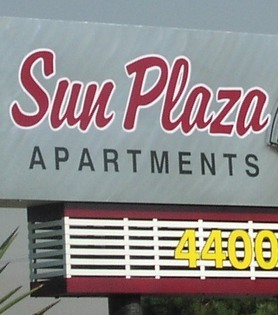 Sun Plaza Apartments, in Albuquerque NM, offers one, two and three bedroom apartment homes with all Utilities Paid! With a Park-Like Setting, you are sure to enjoy our spacious grounds, which include beautiful grass landscape, large mature trees and a playground! We are Conveniently Located close to schools, fun shopping, great dining, UNM, CNM and I-25. For your convenience, we also offer an on-site laundry facility and after hours courtesy patrol. Please call one of our friendly staff members today for a personal tour.